The Lumiere Center presents a unique set of photographs – The Auschwitz Album – an exhibition organized along with Czech Center, Polish Cultural Сenter, Auschwitz-Birkenau State Museum in Poland and the Embassy of Israel in Moscow. Nearly 200 photographs were taken at the Auschwitz-Birkenau death camp in the spring of 1944 and put together as an album by an unknown SS officer. This albums was later found by Lili Jacob, a then 19-year-old former prisoner of Auschwitz, in one of the SS barracks of Mittelbau‑Dora on the day of its liberation. Historians rightly consider the Auschwitz Album to be one of the most important testimonies on the fate of the millions who were murdered. It is the only authentic pictorial document that captures life in Auschwitz apart from the images of the camp being built in 1942–1943 and three photographs that were taken secretly by inmates, there is no other. 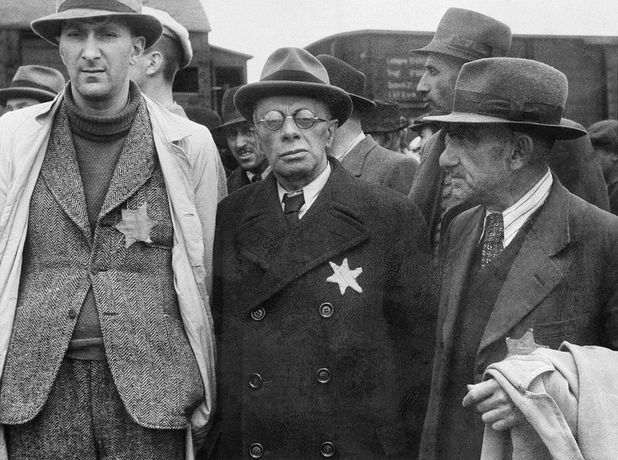 The Auschwitz Album documents the arrival, selection and processing of Jews that came to Auschwitz-Birkenau at the end of May or the start of June 1944. These rare photographs will be presented in the exhibition at the Lumiere Center in the authentical sequence from the album. According to some sources, the photographs were taken on a single day; according to others, over a period of several weeks. Many of the trains came from Berehove, Mukachevo and Uzhhorod in Carpathian Ruthenia, a former part of Czechoslovakia that was occupied by Hungary. Unlike the previous deportation trains, the Hungarian transports arriving at Auschwitz went directly into the Birkenau camp – on a newly built track that was completed in May 1944. The railway track was extended in order to speed up the selection process, so that the prisoners could be quickly divided into those capable of work and those to be exterminated immediately, and to make the sorting of their belongings more effective. Most of those deemed fit to work were soon taken to forced labour camps in the German Reich, so that they could be used by the German military industry, which was at risk of air raids. The others – mostly the elderly and women with children – were immediately sent to the gas chambers upon arrival. More than a million European Jews perished at Auschwitz-Birkenau. The exhibition will also feature video-testimonies of the survivors of Auschwitz in which they recall the horror they went through in their childhood. The interviews of Lili Jacob, who discovered the album, Tibor Beerman, Aranka Siegal and other witnesses of this crime against humanity were kindly granted by the Shoah Foundation – The Institute for Visual History and Education of University of South California. The exhibition is provided by the Jewish Museum in Prague.